The new registry is now up and running. are available through the links below. Please download and print out the Work Order Form and the Registration Application. You will need both forms if you are registering new lambs. If you are transferring an animal you will need the workorder form and the original certificate with the back filled out and signed. If you are renewing your membership or requesting a duplicate certificate you only need the workorder form. Note: These are fillable PDF forms. Please enter your information online and then print the forms. This will make the information easier to read. If you are using Firefox as your browser, you will need to open the forms with Adobe Acrobat Reader. The current version of Firefox does not support filable forms. We invite everyone's suggestions and participation in this incredible journey together. 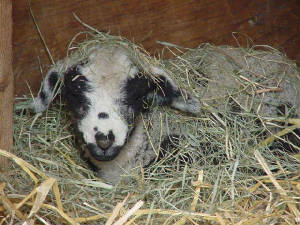 Thank you for helping to sustain the rarest of the rare breeds of sheep in the US today….Romeldale-CVMs.